Doing karaoke with your friends indeed brings so much fun. Don't you think it's too complicated. You should prepare some money, set a schedule, even pay for the transportation. Then what should you do when you have no money, getting too busy, but want to experience the joy of karaoke-ing? This game first I heard from my friend. She told me that Desal brought his laptop and played karaoke together with many friends. Aa.. I felt so curious but at that time I was too busy to check onhis laptop and see what it's looked like. So my friend told me the name of the game, and I downloaded it, and downloaded many songs, may be it's too many. It's like karaokeparty.com, but it's offline. The application not too big so you don't have to wait too long to download it. The interface is really good. The graphic is also nice. Hahaha.. 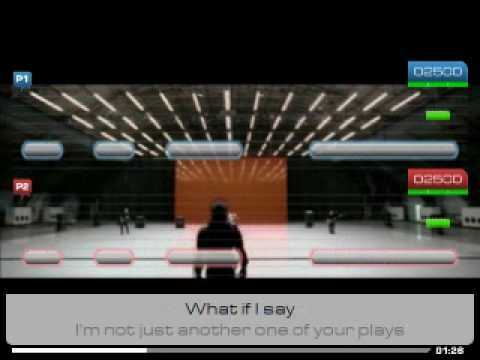 I think this is the best karaoke game this time because I haven't find the others. You can download Ultrastar Deluxe here. It's free and you can get the songs from many sites. If you love asians songs, try http://usasian.forumotion.net/. Or simply click this to get more songs. Or try to google it. Also you can download more themes. It's very easy to do. If you use your laptop, usually the mic was already attached, you can start karaoke. But if you don't use one, just try mic from the headset, or try the common mic for computer. Of course because it's a game, you will get score, and compete with another player if you got two mics or more. I get addicted by this game. I play it usually when I'm too bored, or sleepy so I will get more energy by singing aloud. It's more fun when I sing with friends, just like at real karaoke but once again, it's free.